Sign up to one of our detox plans or our regular health plans today. Fresh vegetable & fruit juices, nothing added! Now delivering to Dublin, Cork, Carlow, Naas & parts of Meath. Take the hassle out of Juicing. 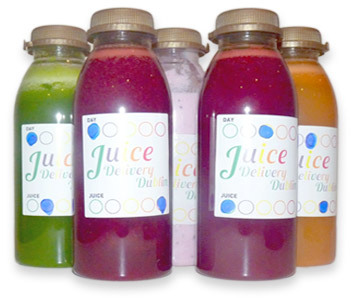 We deliver freshly made juice direct to your door. Detox your body in days!!! Our Juices are lovingly made by hand. We make every Juice from the freshest produce to provide you with the finest quality Juices possible! Completing this detox couldn’t be simpler; the only thing you have to do is open and drink the bottles of Juice at the right times.